We know that things have started to get a little more than chilly outside this month. Parts of the southern half of America are currently covered in snow and others are rushing to work in full cold resistant attire. To help out with the weather we wanted to introduce a fun Pokemon product for you and your family to enjoy. Complete with cute packaging that anyone is sure to love. In Japan, you usually can find a wide variety of character themed foods like candy and gummies. Luckily for us Pokemon lovers, they also have some variations of soup for us to enjoy. These soups come with noodles and only take 3 minutes a piece to make. They are also a unique treat compared to the cup of noodles we have in America with two unique flavors that you may not have experienced before. The noodles come in both soy sauce flavor and seafood flavor with real ingredients added in. They can be purchased off of Amazon in a set of 4 for around $20 USD currently. 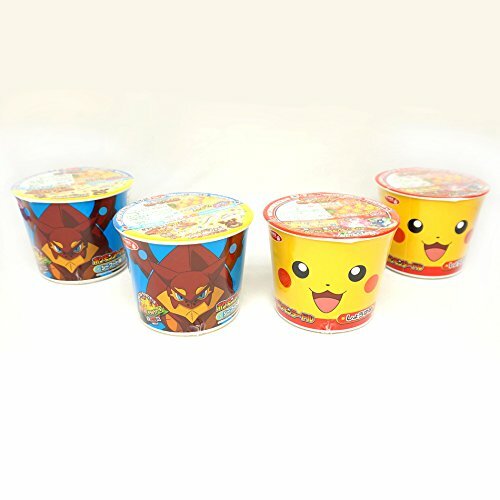 The noodles themselves are extremely popular overseas and will make a wonderful winter snack for Pokemon fans everywhere.